Buoyed by a six month stint in Austin Texas, Birmingham based family group The Toy Hearts have further cemented their passion for Western Swing by releasing this short collection of tunes they mastered during their Lone Star State stay. Over the last couple of years their live show has evolved from a Bluegrass bias to one more influenced by a traditional Texas sound and previous coverage of the band has commented on how the switch has embraced their talents. This extended play release may be brief but FLYIN’ TOO HIGH is further proof that they are very fine interpretative exponents of a style anchored to the core of country music. The four tracks selected for recording are all non-originals (their song writing skills have been temporarily put on hold) but they formed part of their many shifts undertaken keeping the floors in Austin’s dance halls busy. They may not be songs many people will be previously aware of but one of The Toy Hearts missions is to share a love and expertise for a genre of music dear to their heart. However not knowing the songs does not hamper your appreciation that The Toy Hearts can deliver a cracking tune with its centrepiece being the scintillating sound of Stewart Johnson’s triple neck steel guitar. As per usual with Toy Hearts’ recordings, Hannah Johnson excels on lead vocals and mandolin while her sister Sophia is equally adept on harmony vocals and guitar. For this EP, under the stewardship of Joe Beckham in his Austin based Birdhouse Studio, Jake Erwin from Hot Club of Cowtown kept the rhythm going on bass. 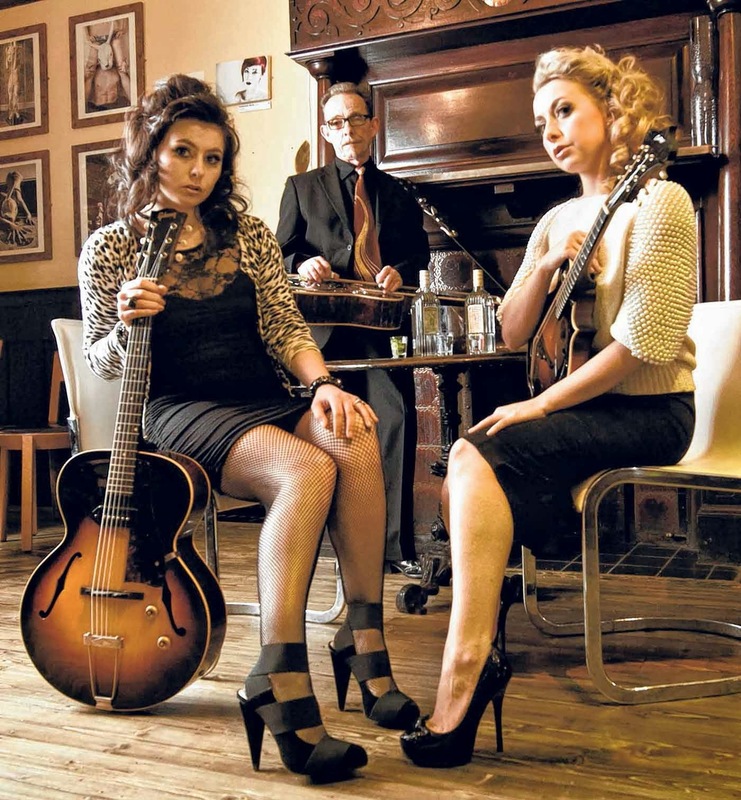 Together they offer a taste of how gratifying Western Swing can be when done well. Of the four tracks chosen, ‘Five Minutes Of The Latest Blues’ is the one which leaves the most favourable impression and is an original composition by Justin Tubb, son of Ernest who will need little introduction for a majority of serious country fans. The press release contains what the girls describe as ‘geeky liner notes’ but these give a wonderful insight to the songs and it would be a great touch if they were included with the purchased copy to further inform listeners. The opening song ‘What Goes Up Must Come Down’ had its inspiration from a vocal performance by a singer called Kay Starr and its origins lie in a 1939 musical The Cotton Club Parade with the line ‘flyin’ too high’ lending the phrase for the EP’s title. ‘Too Late To Dream’ sees the band delve into the work of Wade ‘Pugnose’ Ray with this charming and sophisticated number. The closer ‘Baby That Sure Would Be Good’ is a song previously featured in their live sets and celebrates the work of Bob Wills and Cindy Walker. Having enjoyed and supported The Toy Hearts music for around half a dozen years, it is always interesting to see how they develop. They seem very comfortable with the Western Swing style and this appears to have side lined the Dobra and fiddle for a while at least. However they have proved a versatile band and their undeterred commitment to the principles of their passion is much commended. The experience of cutting their teeth in the hotbed of Austin has no doubt hardened them and while promoting this style of music over here is always going to have its limitations and knockbacks, The Toy Hearts continue to be a valuable member of the UK scene. 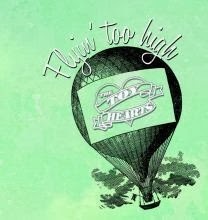 Supporting FLYIN’ TOO HIGH and the band’s live dates will ensure we are suitably entertained and informed in the forseeable future.